Midsummer celebrates the summer solstice, when the sky never fully darkens in northern Scandinavia. The celebration has its roots in agricultural heritage, welcoming the fertile growing season ahead. When Scandinavians emigrated to the Midwest, they took this holiday with them. You can adapt these traditions for your own celebrations this summer—no Nordic heritage required. The celebration takes place on a weekend around the time of the summer solstice in June. To celebrate Midsummer, Swedes head to summer homes in the hills and by the water. One thing Midwesterners and Scandinavians have in common is a healthy appreciation for the finite summer season. 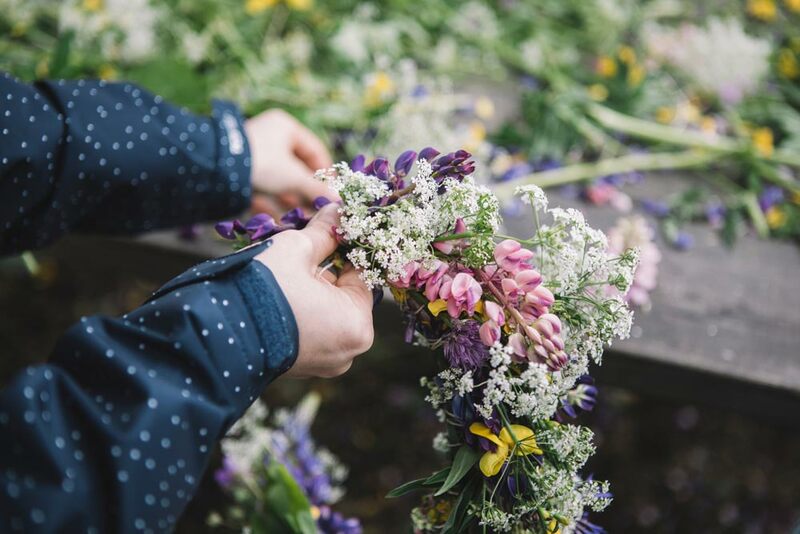 Whether it’s going to a local park, the backyard or a summer cottage on the lake, the first step to celebrating Midsummer authentically is the one that takes you into the outdoors. Like any celebration, meals and refreshments are an important part of the day. Traditional food and drink includes local spiced vodka or schnapps, pickled herring, salmon, boiled potatoes in dill, and even moose. 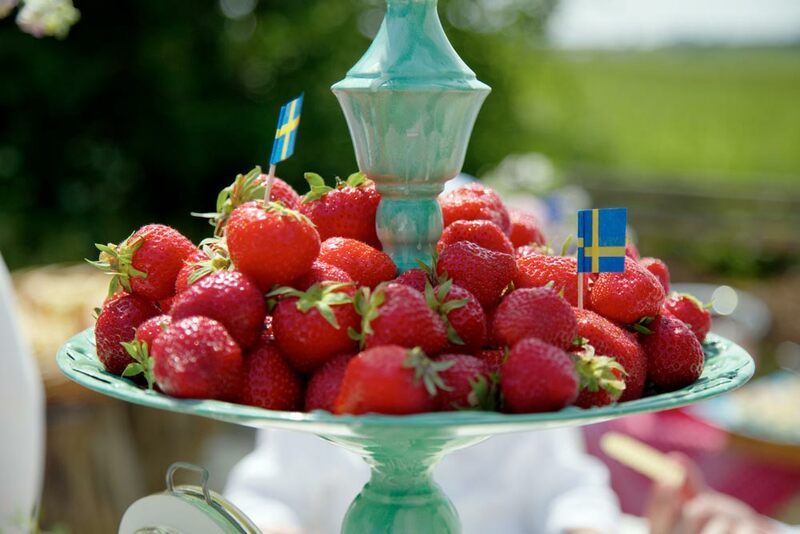 Since strawberries are in season during Midsummer, they feature heavily in the cuisine especially strawberry cakes and strawberries with cream. Whatever you serve, enjoy it outside or make it into a picnic for authentic flavor. See strawberry dessert recipes from Midwest Living. 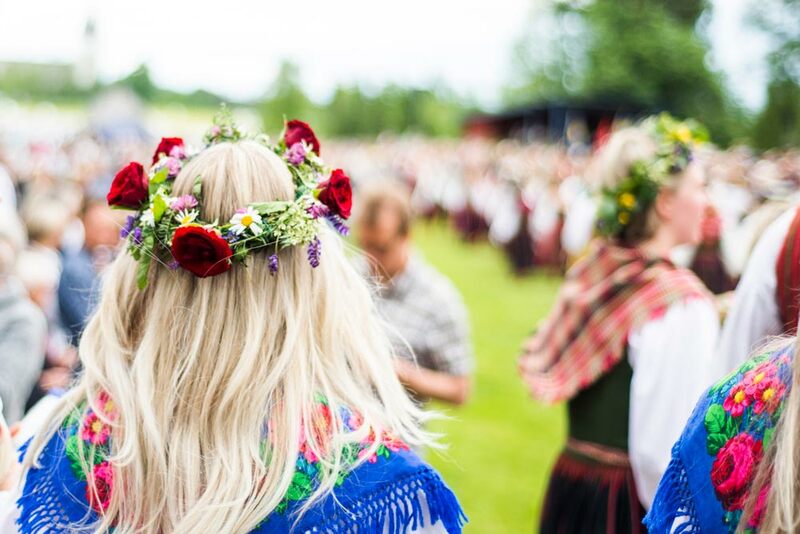 From flowers to folk costumes, a Midsummer festival is a visual feast. Colorful tablecloths, dishware, and food will all enhance the festive atmosphere. A color scheme of white, blue and yellow brings a traditional touch to the day. 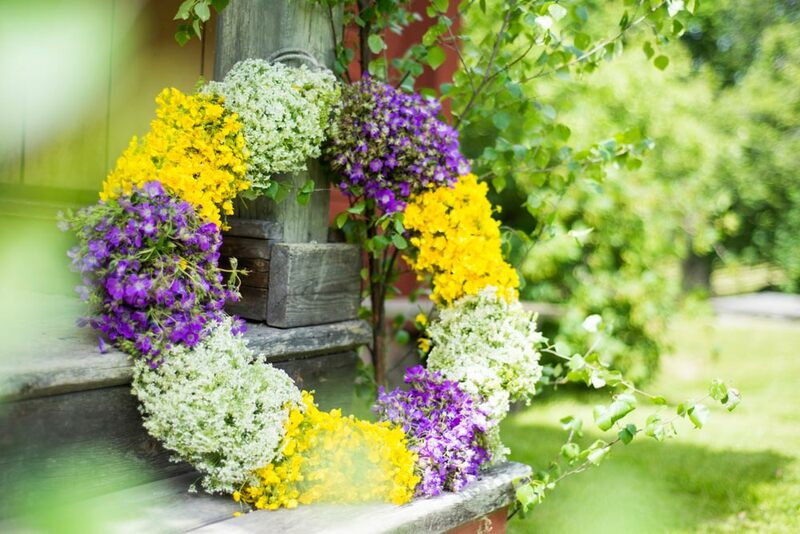 Flowers are also prominent in Swedish Midsummer celebrations. After all, it is a celebration of the summer season which is preciously short in Scandinavia. Flowers are used liberally in vases on the picnic table, on the traditional Maypole, and in wreaths and flower head crowns. Making and wearing these crowns of real flowers is an iconic part of Midsummer. Men, women and children alike don these festive symbols of spring and rebirth. As the night cools off, keep the party going with a bonfire. Since the 6th century bonfires were lit around Europe on Midsummer, according to the American Swedish Institute in Minneapolis. Midsummer has long been considered a magical night, especially for love, and it is still a popular time for weddings. Experience the holiday abroad for yourself with a travel package including meals, lodging and activities through visitdalarna.se. 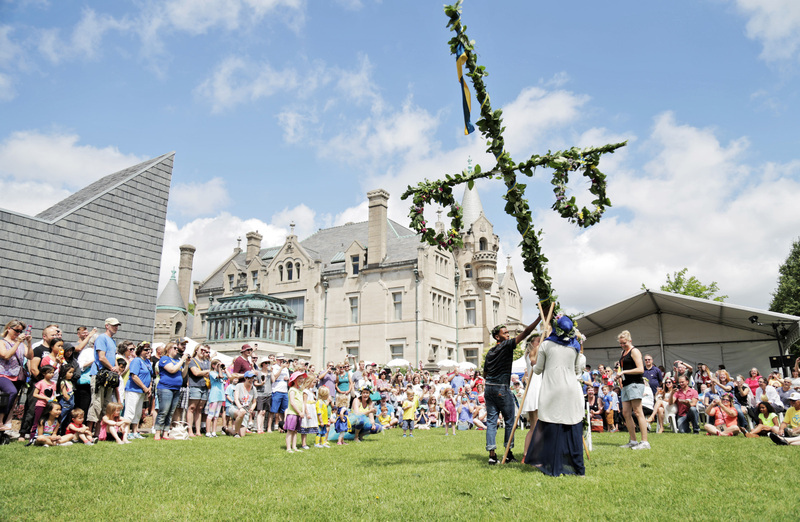 To immerse yourself in traditional Midsummer activities without leaving the Midwest, The American Swedish Institute in Minneapolis holds an annual Midsommar Festival in June (June 16, 2018) with the raising of a midsommar pole, Scandinavian folk music, and activities such as wreath-making. 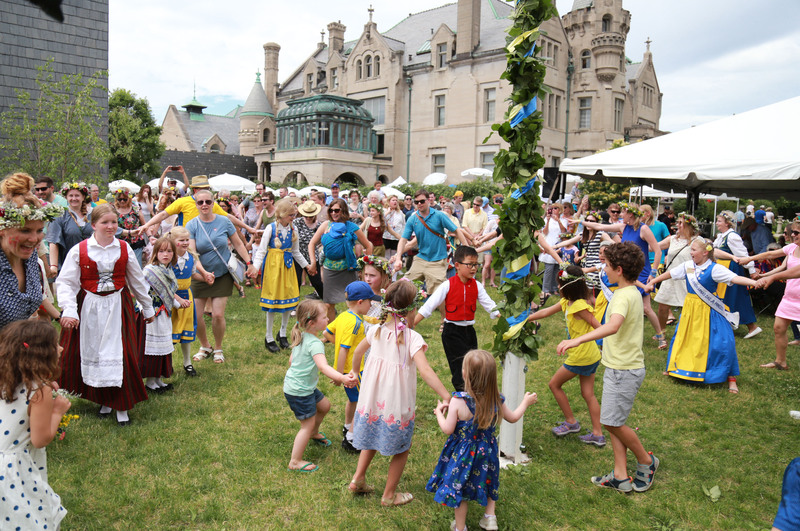 Other Midwest festivals include Scandinavian Midsummer Celebration on June 23, 2018, at Knox Creek Heritage Center in Brantwood, Wisconsin; Swedish Days in Geneva, Illinois, from June 19-24, 2018; and Midsommar Dag on Saturday, June 23, 2018, at the Gammelgarden Museum in Scandia, Minnesota. Check with your local or state tourism office to find a festival near you!